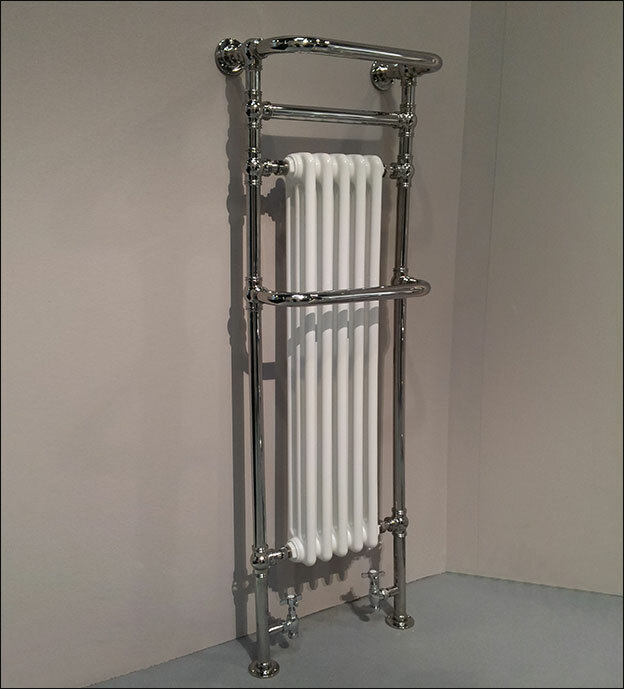 The Chester towel warming radiator is a traditional styled towel radiator supplying good heat outputs. 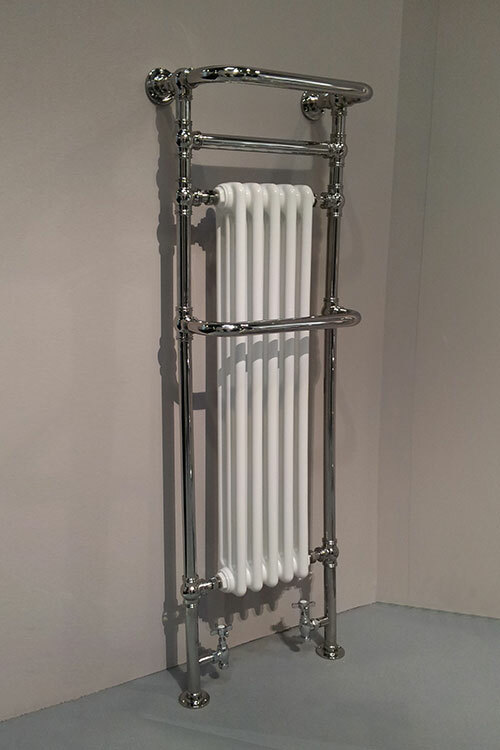 This British made heating radiator is available in chrome, nickel and gold plated finishes. 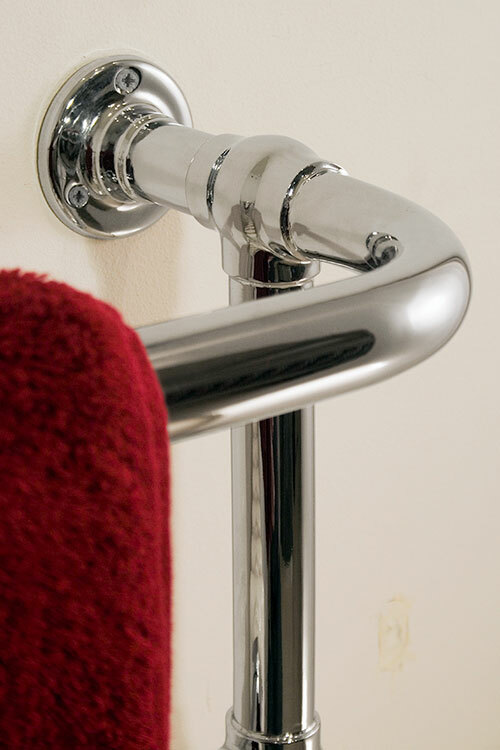 The beauty of this tall towel rail is its multiple towel hanging bars, high heat outputs and reduced use of wall space, making the Chester an ideal design choice for both small and large bathrooms. 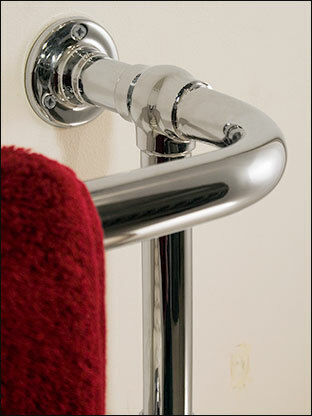 This towel rail is manufactured to special order. Please allow 8 weeks for delivery. 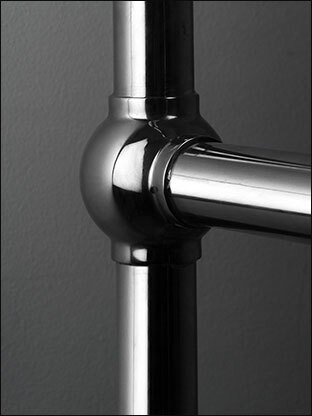 * Traditional ball jointed design. * Dual fuel & electric only options available. 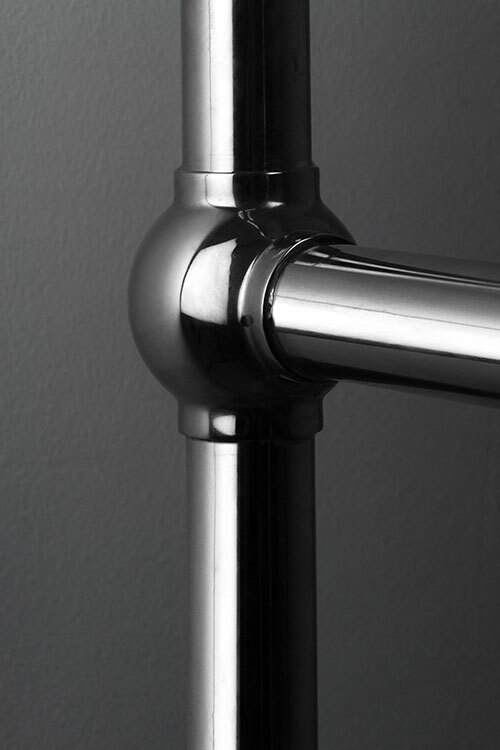 * Chrome, nickel, gold and copper finishes. * Bespoke sizes to special order. * Output based on central heated format. * Includes U.K. mainland delivery.